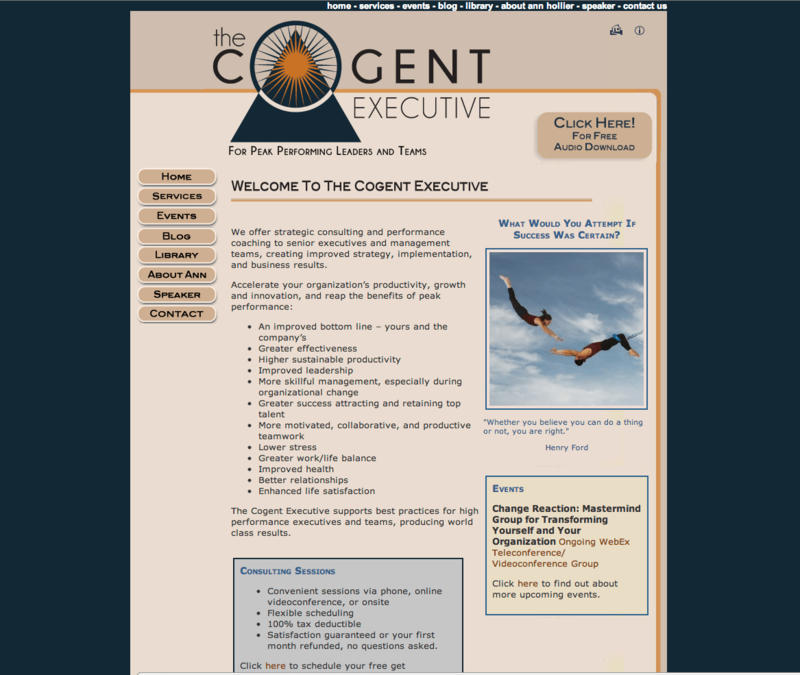 I have worked on the website for The Cogent Executive for almost three years. It was formerly AnnHollier.com. I was reluctant to post the site here because I did not do the original design. That said, I have done such total excavation on it for so long now as well as extensive online marketing for this client, I think it’s fair that I talk it up. I added the blog mid 2012. I also revised their logo recently, and you can see that work here.